No matter where you live, finding a good ferret vet can be a challenge. And unfortunately, if you live in a rural area or a country where ferrets are simply not popular pets, you may find it a challenge to find a vet that even treats ferrets, much less a good one. Those who live in cities and in countries like the United States and the United Kingdom will find they have much more choice in their vet options. To find a ferret vet, you may be tempted to go straight to Google. But your best bet is to get a recommendation from fellow ferret owners, whether online or in person. There are lots of online ferret communities where you can learn about the vets near you first-hand. If you’re moving, ask your current vet if they can refer you to anyone. It’s better to get your list of potential vets from people you trust, rather than from an internet search. But if you’re unable to do this or you can only get one or two recommendations, supplement your search online. Once you have your options, you’ll want to make sure a vet is a good fit for you and your ferret. To do this, you can visit, call, or email the clinic to ask questions like those below. We spoke with Dr. Lynne Boggs of Griffith Small Animal Hospital in Austin, Texas to help us determine what questions you should ask a vet to help you determine if they are a good fit for you. Ideally, you should interview the vet directly over the phone or in person. How much is an office visit and what methods of payment are accepted? Make sure you can afford the vet and that they take a payment option you can provide. How many ferrets do you see weekly? Ideally, you’d like a vet who sees 1–2 ferrets a week. How long have you been treating ferrets? This answer can also help prepare you for how much your vet will rely on your knowledge and research. 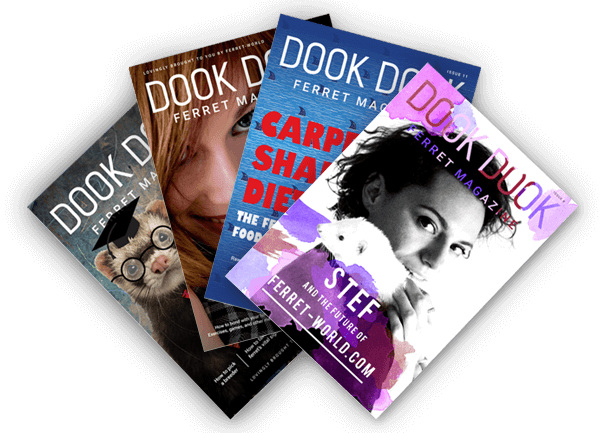 Do you have the ferret vaccine for distemper on hand? This can only be bought in boxes in most places, so this would indicate that they see enough ferrets to merit purchasing the vaccine. Do you have both of the implants for adrenal disease on hand? 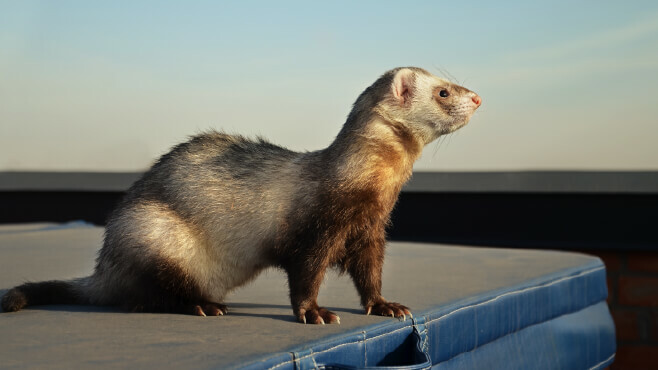 This indicates that the clinic sees a number of ferrets and, according to Boggs, it is a good sign that they are current in ferret treatment options. Do you draw blood from ferrets without anesthesia? According to Boggs, this indicates how comfortable the vet is with ferrets. It’s unnecessarily risky to anesthetize a ferret just to draw blood. How many vets on staff can treat ferrets? 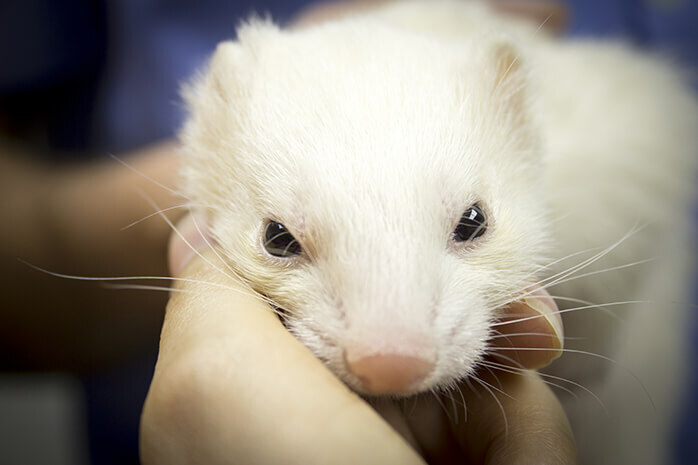 While it’s common for clinics to only have one ferret specialist, it’s good to know that you have a backup vet for when your vet is unavailable, particularly in emergencies. What range of services is offered for ferrets? Can you perform x-rays, ultrasounds, and/or surgeries? If the vet cannot perform all of the possible services your ferret needs, see if they refer another facility or if you need to find a place on your own. 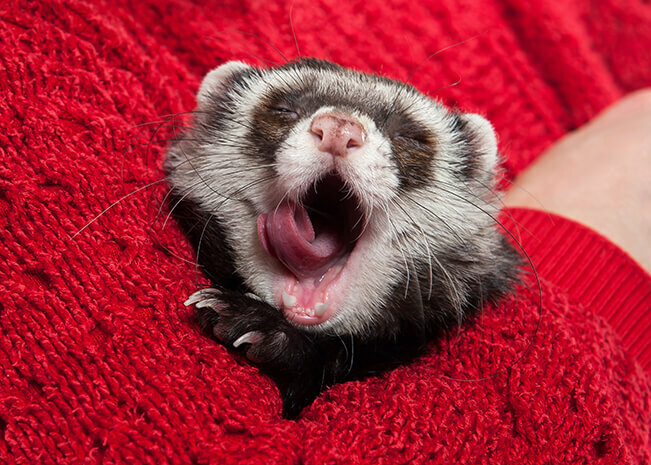 What are the most common ferret ailments your clinic treats? The answer to this question will give you a good idea of what the vet is used to treating and also how knowledgeable they are of common ferret diseases. How are emergency calls handled? Does the clinic have an emergency number? Do they refer you to another clinic? 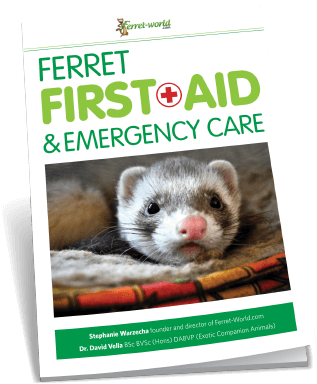 This information is vital to have BEFORE your ferret has an emergency, so you can easily refer to it. What To Do If You Live In A Country Where Ferrets Are Not Popular? 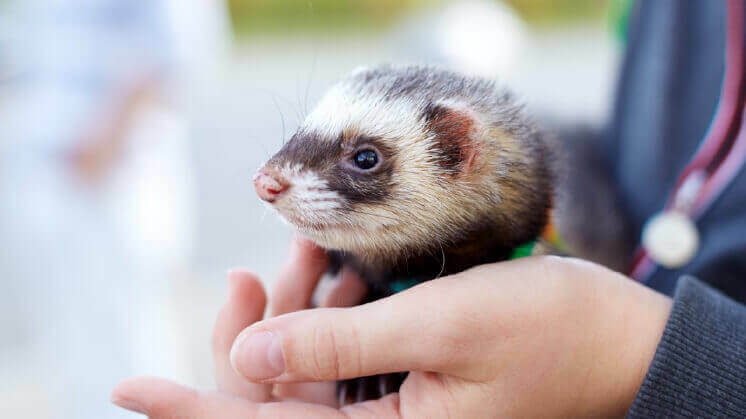 If you live in a place where ferrets are not popular pets or in a very rural area, you may not have the option of a vet who has ever treated a ferret. Boggs says that in that case, you want to find a vet “who’s willing to work with you” and is willing to learn. She says that the only reason she started treating ferrets is that when a ferret shelter owner came to the clinic, she was the only one willing to treat them; the other vets didn’t want to have to look everything up every time they needed to examine or treat the ferrets. “There’s a lot of people in rural areas that are willing to be guided,” she says, so you can usually find a vet who is willing to do their research and rely on you and your knowledge as a resource. You’ll have to be more engaged in your ferret’s vet care, so make sure that your vet is a good personality fit with you! Do Ferrets Need to Go to a Vet? When we decide to get a ferret as a pet we also take on the responsibility of making sure that ferret is happy and healthy throughout the remainder of their life. This includes taking a ferret to the vet for it’s yearly check ups, and when we think there might be something wrong with them. Not having enough money for a vet is not the ferret’s problem. When you got the ferret you should have made sure you had enough money for vet bills and all the other things a ferret needs in order to be happy and healthy. This is what responsible pet ownership requires. Ferrets are animals that are genetically predisposed to a variety of diseases that require a medical diagnosis and treatment. 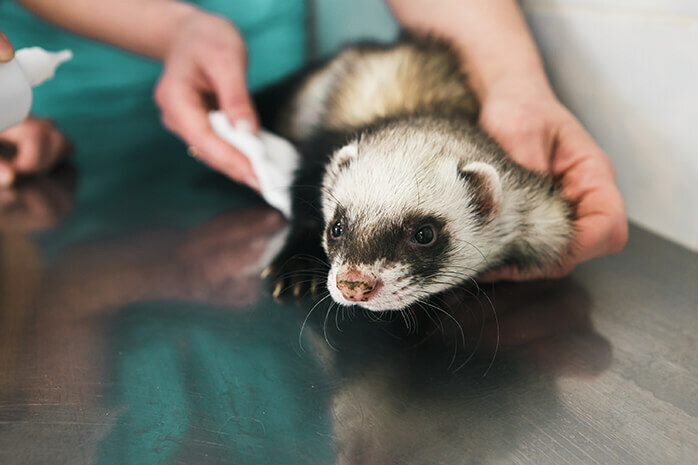 Ferrets can fall ill and decline in health very quickly, therefore they need to see a vet as soon as you notice symptoms of the ferret not being well. How Much is a Vet Visit for a Ferret? The cost of a vet visit really depends on what you are going to the vet for and whether it will require preventative or medical treatment. Costs of vet visits vary depending on how experienced a vet is with ferrets (as not all of them know how to treat them) and also the country in the world you live in. 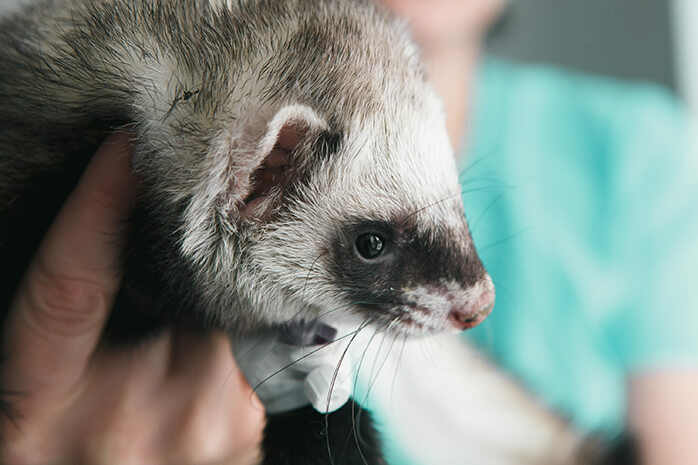 Ferret treatment costs can be more expensive than for other pets due to the fact that vets who specialise in ferret care and surgery can be rare to find. Not all vets have the required medical expertise or qualifications to treat ferrets which are considered to be exotic animals.